27 January 2018. YEREVAN. – Italy has taken over the Chairmanship of the OSCE. 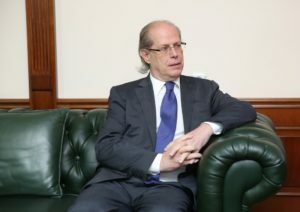 In an interview with Armenian news.am Italy’s Ambassador to Armenia H.E.Mr. 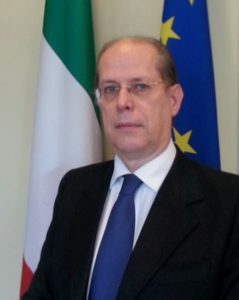 Giovanni Ricciulli told about priorities of the Italian chairmanship as well as Italy’s position on the new deal signed between Armenia and EU. The European Union and Armenia signed a Comprehensive and Enhanced Partnership Agreement. How will the signing of this agreement affect the development of relations between Italy and Armenia? Let me first say, by way of introduction, that Italy has always been supportive of closer ties between the Republic of Armenia and the European dimension in its various expressions. One might also recall that it was during the Italian chairmanship of the Council of Europe, in November 2000, that the Republic of Armenia was invited to join the Council, becoming its 42nd member State on January 2001. Accordingly, Italy has wholeheartedly welcomed the signing of the Comprehensive and Enhanced Partnership Agreement with the Republic of Armenia. The CEPA is a particularly beneficial milestone, because it strives to create an environment for the development of relations between the Republic of Armenia and the European Union that will be even more effective and focused than the one we have had before. This new agreement is in line with the renewed European Neighborhood Policy, which is geared towards tailor-made agreements with each country, and which takes into account the specific conditions of each one of the Partners. 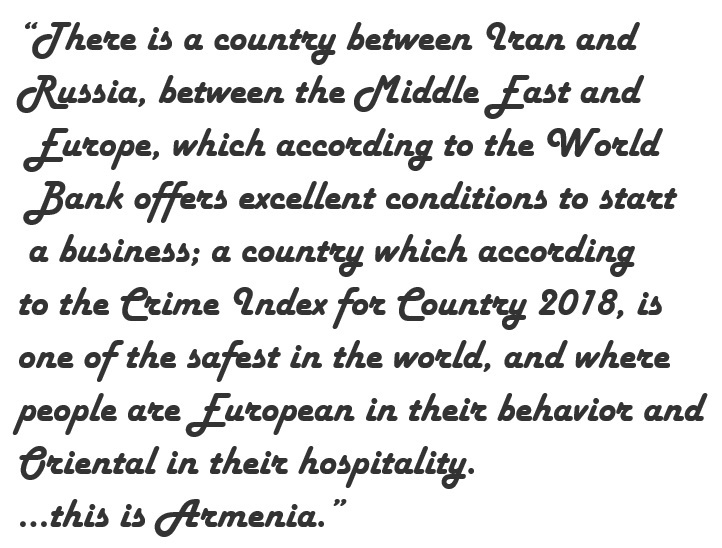 Of course, it is not only the Republic of Armenia and the European Union as such that stand to benefit from the CEPA, but also the EU’s member States in their interactions with Armenia. I am confident that this will be the case for Italy too. We have a new tool, a better one, and we must strive to draw all the advantages that it is offering us by implementing it with thoroughness and commitment. Italy has taken over the Chairmanship of the OSCE. How does you see the prospects for the settlement of Karabakh conflict? What practical steps will Italian chairmanship make to advance the peace process? Since the launching of the CSCE in 1975, the OSCE has been striving to uphold contact and dialogue as a means of stability, security, and peace. Italy, which is one of the top contributors to the organization’s ordinary budget, both for what concerns its institutions and its field operations, has always been strongly committed to the aims and activities of the OSCE. Therefore our current chairmanship will reflect this strong traditional commitment. As you know, among the Italian Presidency’s priorities there is also OSCE’s role in the “protracted conflicts” that unfortunately continue to blight the European area. As far as Nagorno Karabakh is concerned, the responsibility of a solution cannot come from outside because peace ultimately rests on the parties concerned. From this point of view let me remind that our chairmanship stresses “Dialogue, Ownership, Responsibility”. Thus, it is paramount for all parties to persuade themselves that only a peaceful settlement based on negotiation will enable a solution, and that the entire region stands to benefit from such an outcome in terms of stability, progress and prosperity. of OSCE fully supports both the efforts of the three Co-Chairs of the OSCE Minsk Group and the principles and elements that their patient and constructive action rests upon. Having said this, I shall add that Italy intends to relaunch the spirit of the OSCE. It is that same spirit that upheld the importance of contact and dialogue in 1975, while the world was dangerously divided and some flash points were putting world peace itself at risk. The Italian Foreign Minister, Mr.Alfano, stressed this very point when he recently quoted our former Prime Minister Aldo Moro in defining the Helsinki spirit as the “point of passage towards the future.” Indeed, there is no alternative. Italian action as the OSCE’s current chair will reflect this spirit. Last year a memo was signed between Development Foundation of Armenia and Shaula International consulting company to attract Italian investors to Armenia. Have the sides achieved tangible results? Can you name the areas which are prospective in terms of attracting Italian investors to Armenia? In 2017 we had several positive developments concerning economic and commercial relations. There was, as you rightly mention, the memorandum signed between the Development Foundation of Armenia and Italian Shaula International, as a consequence of which further contacts took place, in fields ranging from tourism and transportation to culture and agriculture. But I should also like to highlight the Country Presentation of Armenia held in Rome on the occasion of the first meeting of the Italo-Armenian Intergovernmental Commission on Economic Cooperation. It witnessed a good participation of companies from both countries, and I can confirm that, following that event, there has also been an increase in business contacts through this Embassy. Also, there was the signing of a memorandum between the Development Foundation of Armenia and the Italian Trade Agency. This too is a very important development, all the more so because the Agency has recently confirmed that it will pay increased attention to the possibilities offered by Armenia. Possibilities that also stem from its participation in the Euro-Asian Union. Which goods is Italy mainly exporting to Armenia? Has the volume of trade turnover increased? 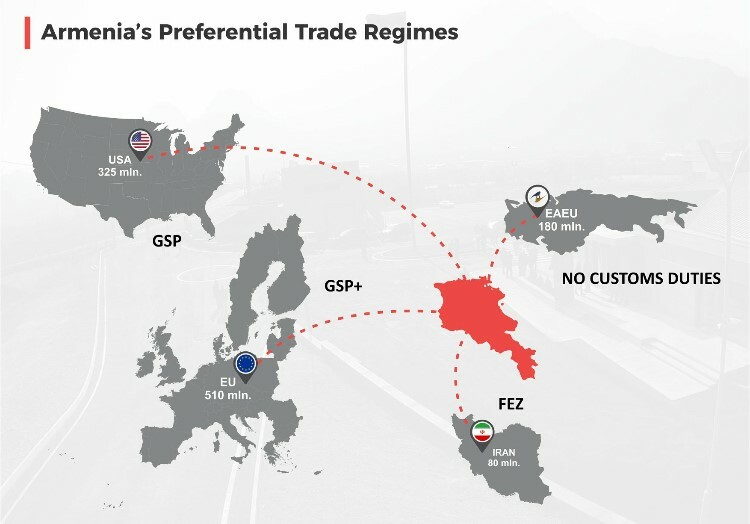 Trade turnover between our respective countries has traditionally been good, and in 2016 Italy was the Republic of Armenia’s second trade partner from the E.U. In 2017 we witnessed an increase in bilateral trade, with both imports from Italy and exports to Italy increasing with respect to the previous year, which of course is a positive trend. As of late, we have also seen an increased diversification of Italian exports to Armenia. In addition to clothing, furniture, food, and machinery, now we also see products such as medicaments or household appliances. In 2017 Armenia exported to Italy mostly various clothing items, aluminium foil, and raw skins. Diversification is important, in the light of the intention of many sectors of the Armenian economy to modernize and better equip themselves to tackle international competition. The Italian economy is highly diversified, and we can therefore be good partners for Armenia in every field, given also the ease of contact and interaction between our respective peoples. Italian culture and cuisine is very popular among Armenians. Are there any interesting events the Embassy is planning to hold this year? Italian culture and cuisine can only be followed closely in a country, such as Armenia, which itself cherishes culture and good food. That is why, in addition to the single cultural events that this Embassy strives to promote, especially in the field of music, we have also been holding a yearly Italian Film Festival, and, since 2016, an Italian Cuisine week as well. The film initiative has tried to break away from traditional Italian classics, which the Armenian public are already well acquainted with, and offer glimpses of present-day Italian movie-making and of modern Italian society. In 2015, for example, we offered pictures hinged on women. We are still defining our program for the current year, but we shall certainly try to offer our Armenian friends, who are well-versed in cinema, something attractive to them. As far as cuisine is concerned, the edition of the “Italian Cuisine Week” held last November saw ten Armenian restaurants -nine in Yerevan and one in Gyumri- offering excellent and innovative menus at quite affordable prices. We also had very good wine from Italy accompanying each menu. I really thank these restaurants for having put great effort in supporting the initiative and provided outstanding results. Although November is still far away, please jot down the Italian Food Week in your agendas, because it is worth it!